There are numerous ways how Hollywood can sell itself to the Chinese censors and the continuously growing market of cinemagoers in the country with the world's largest population. They can give the powerful people a prominent and promotionally effective role in a movie (Transformers 4), spice up some scenes with local stars (Iron Man 3) or - the option that angers the rest of the world outside of China the most - adjust the story prematurely so that the Chinese emperor isn't offended. No matter if the affected film is intended for a Chinese release or not (World War Z, Red Dawn), the work climate has to be good if you want to make money. And these advances by Hollywood's elite have already led to an interesting self-conception in China. Earlier this year, Ellen Eliasoph (Village Roadshow) said at a conference that the Chinese censors were just trying to help. And they weren't even getting gross points. What a dream scenario. That statement was directed at a production that was made in China but that help is oftentimes not needed. Films that are intended to be screened in China are often cleansed prematurely so that nothing critical is left that could hurt feelings, and thus business. 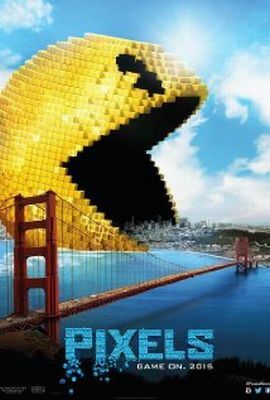 And that's where we come to Pixels, the new Adam Sandler comedy that manages to let critics rejoice just like the other recent works of the actor. In its second weekend, it was already beaten by Ant-Man at the US box office. That makes China a financially important market for the sci-fi spectacle. Reuters took a closer look at the emails from the infamous Sony Leak and summarized the pre-censorship that was made in order to appeal to China. Reuters: “Even though breaking a hole on the Great Wall may not be a problem as long as it is part of a worldwide phenomenon, it is actually unnecessary because it will not benefit the China release at all. I would then, recommend not to do it,” Li Chow, chief representative of Sony Pictures in China, wrote in a December 2013 email to senior Sony executives. And since that didn't benefit the Chinese release, it was scrapped. Destructions in India and the US remained intact, though. Also, a remark whether the Chinese might be responsible the attack and a reference to a "communist-conspiracy brother" hacker had to go. In the future, China's role in the worldwide film business will only get more important. You might want to get used to Hollywood intensifying its efforts to please their viewing habits even more. After all, it's all about the money.